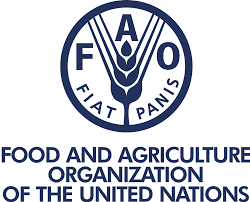 The Food and Agriculture Organization of the United Nations (FAO) is offering undergraduate, graduate and postgraduate Africans numerous internships in its Regional Offices. About the Award: The Internship Programme is a learning opportunity aiming to attract talented young women and men who are strongly motivated to share their new perspectives, innovative ideas and latest research experience in FAO’s domains. The programme provides selected students, enrolled in an under-graduate, graduate or post-graduate degree programme or recent graduates with the opportunity to supplement, their academic knowledge with a practical work assignments in a field related to the work of FAO. This will enable them to gain a better understanding of FAO’s mandate and programmes. At the same time, the Programme provides FAO with the assistance of qualified individuals specializing in relevant fields in connection to FAO Strategic Objectives and UN Sustainable Development Goals. · Enrolled in an under-graduate, graduate degree programme in a bona fide (i.e. listed in the IAU/UNESCO data base) educational institution at the time of application, or recent graduates. Applicants pursuing their studies in a country where higher education is not divided into under-graduate and graduate stages must have completed at least three years of full-time studies towards the completion of a degree. Candidates must specialize in a field relevant to the mission and work of FAO. · Working knowledge of at least one FAO official language (Arabic, Chinese, English, French, Russian or Spanish). Knowledge of a second FAO official language will be considered an asset. Only language proficiency certificates from UN accredited external providers and/or FAO language official examinations (LPE, ILE, LRT) will be accepted as proof of the level of knowledge of languages indicated in the online applications. · Candidates should be aged between 21 and 30. · Candidates should be able to adapt to an international multicultural environment, have good communication skills and be knowledgeable in the use of basic computer programmes. · Candidates with family members (defined as brother, sister, mother or father) employed by FAO under any type of contractual arrangement are not be eligible for the Internship Programme. · Candidates should have appropriate residence or immigration status in the country of assignment. Technical/Functional Skills: Relevant academic experience in one of the fields of the Organization. Selection Criteria: Candidates may be assigned in a field relevant to the mission and work of FAO. · To apply, visit the iRecruitment website at http://www.fao.org/employment/irecruitment-access/en/ and complete your online profile. · Only applications received through iRecruitment will be considered. · Candidates are requested to attach a letter of motivation and the evidence of attendance in a recognised university.